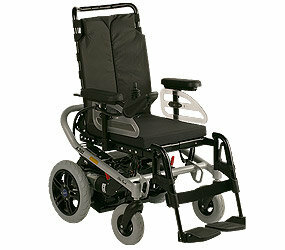 The A200 is the most compact powered wheelchair in its class. The A200 is only 57 centimetres in width, which ensures you are mobile everywhere including in and around the home, the office or out and about. 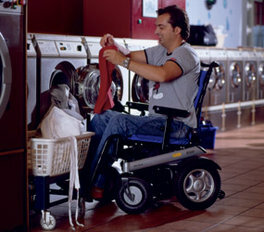 Even narrow doors and small rooms do not present a problem for the A200. 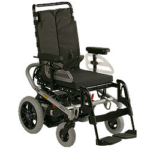 You can also cross obstacles such as carpet edges or steps in the floor up to a height of four centimetres safely and with the optional kerb climber you can overcome approx 8 centimetres. This can be taken apart in just a few steps and it even fits into the boot of a smart car. 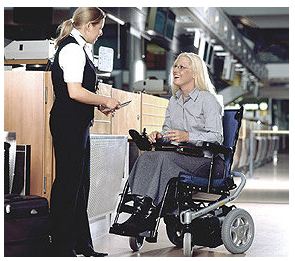 The entire electronic system is integrated in a single box so you don’t have to deal with annoying cables and can easily take the wheelchair on holiday with you. 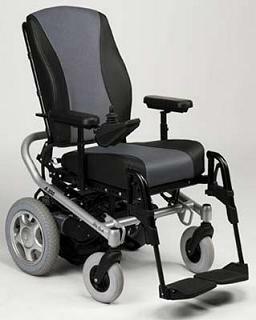 This high quality powered wheelchair offers many different adjustment options and can be adapted precisely to your personal requirements, for example you can adjust the seat at three different angles and the angle of the backrest to various positions. 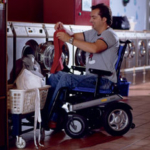 There are many additional options available that can be added, for example puncture – proof tyres which will give you the peace of mind that you’ll never get a flat tyre. Lights and lots more . . . including a choice of various colours. 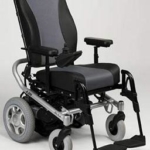 If you have any questions at all regarding the Ottobock A200 or would like to book an appointment to be assessed please do not hesitate to contact us on 0330 0581 008 (Local call rates apply) or FREE PHONE 0800 626 829 or complete the form on this page and we will get back to you.